One of the first things you notice when you try a Birdy for the first time is that it doesn’t feel like a folding bike should. The frame is absolutely solid with no flexing or creaking, the riding position is very similar to a mountain bike, and the steering does not suffer from the “small wheel syndrome”. It is also very light. With two different stem options, you have a choice between a relaxed upright riding position or a more sporty forward position – both stems are also adjustable for height. Riese & Muller have cleverly designed an aluminium frame with no hinges to weaken it. Instead of a folding frame, the front and back wheels fold in – and the same pivots which let them fold also provide very good front and rear suspension. The suspension also makes the Birdy very fast – you can run the tyres at 100psi+ yet still be comfortable, and the suspension doesn’t dive under braking. Pared down, the Birdy comes in under 11kg, but it can also have front and rear racks to carry four panniers for serious touring. The Birdys all come as standard with disc brakes and hub dynamo lighting. Yet amazingly, the Birdy still folds very well – with a bit of practice you can fold or unfold it in 15-20 seconds. 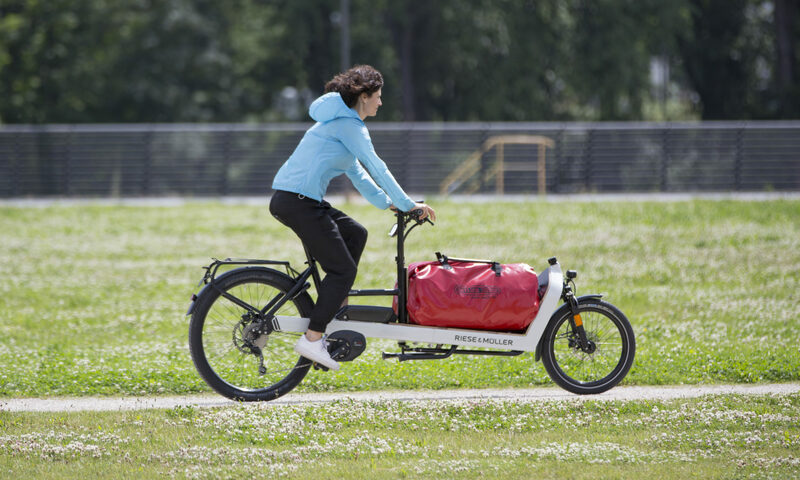 There are three models: the Rohloff, the Touring, and the City. The price list has all the options.